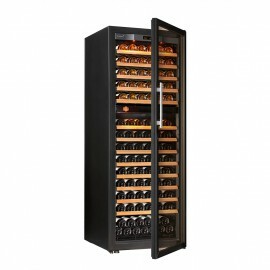 EuroCave Professional offers a comprehensive range of wine cabinets for professionals. Wine serving or maturing cabinets, 1, 2 or multi-temperature, from 12 - 182 bottles, shelves for storing, ordering or displaying your wine, discover a wide range of wine cabinets which are an asset in terms of storing and serving your wine. Offering wine by the glass is now a major requirement. EuroCave Professional has designed and developed 2 product ranges to improve wine by the glass service: our Vin au Verre dispensers with their food quality nitrogen system and our wine bars with their exclusive air vacuum technology. 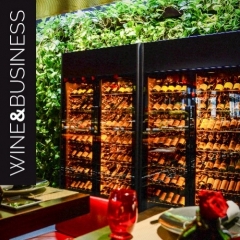 "EuroCave realized a wine room with great looks and playful aspects. I was appropriate supervised by the wine lovers. EuroCave has relieve me completely with the Modulosteel storage system." 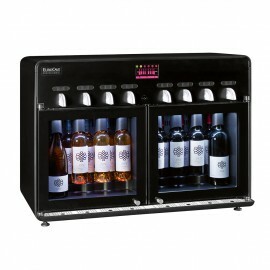 EuroCave, professional wine cellar and automatic wine dispenser. EuroCave has been for more than 40 years a pioneer and a reference in the designing and manufacturing of professional wine cellar and wine by the glass solutions. Offering wine by the glass has become a major requirement for hotels, cafés and restaurants. Nowadays, customers drink less but drink better quality wine, they want to discover new wines, food and wine pairings – and plenty of other reasons to offer wine by the glass!.